This is when we make wreaths from the dried flowers and herbs from this year's "summer's garden". This year we decided to invite our customers to visit us on that weekend ... September 26, 27 & 28. We will be right in the middle of making our wreaths. If you'd like a special wreath (dried flowers and herbs only), we'll make it for you on the spot! While you wait, browse through the garden! It is in great shape after this prolific growing season. 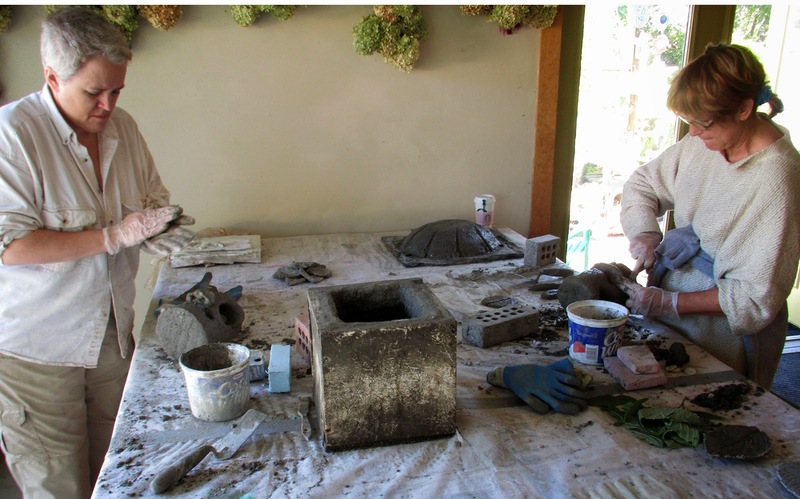 We are stocked with stepping stones, stakes, garden accents and all sorts of hypertufa growing containers. You just might find the perfect item to fill that hole left by annuals past their prime! 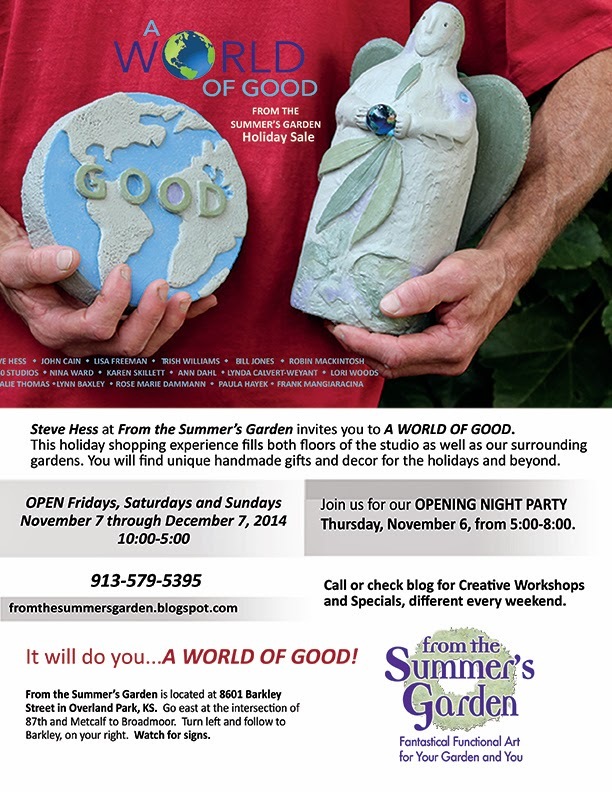 will also receive an invitation to opening night of our Holiday Sale Event in November, A WORLD OF GOOD. 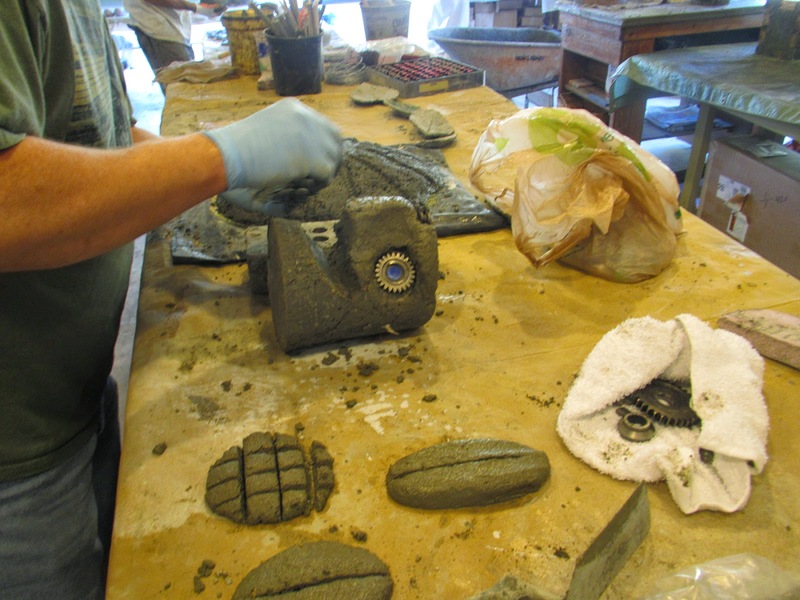 The weekend was pleasant and we were able to have the doors open for both days of the September Hypertufa Studio. This was our last studio of the year. 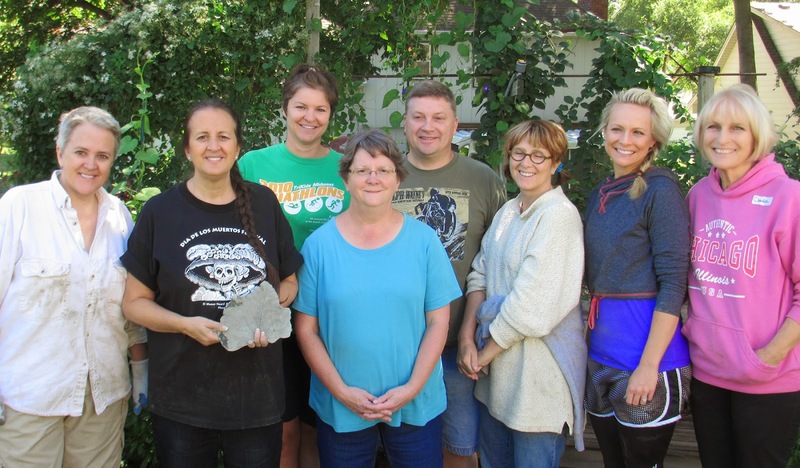 Participants made four good-sized projects: a classic tufa box planter, a cast leaf water basin for birds, a hand-sculpted garden stone and a garden gnome that doubles as a plant stand. It also makes a dandy jack-o-lantern base for Halloween! Hank used motorcycle parts on his garden gnome sculpture. 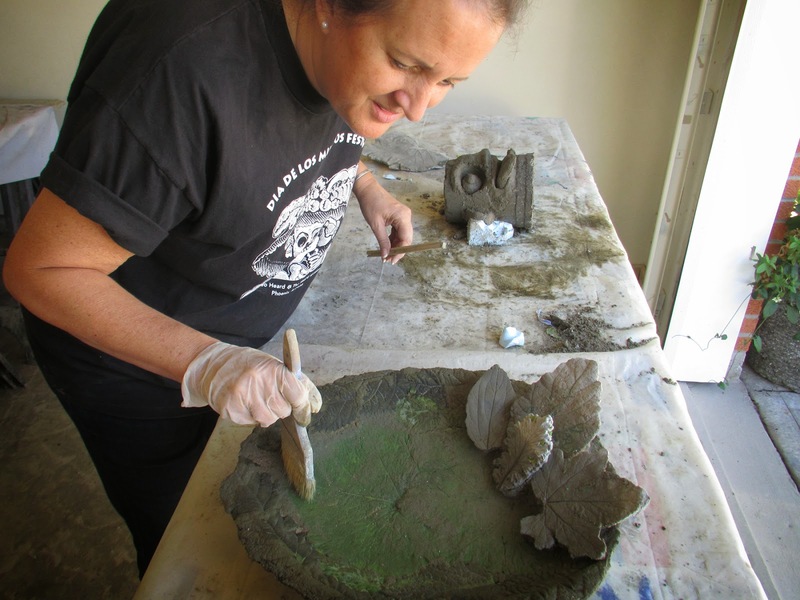 Jane and Molly are handsculpting sections of their gnome's faces. 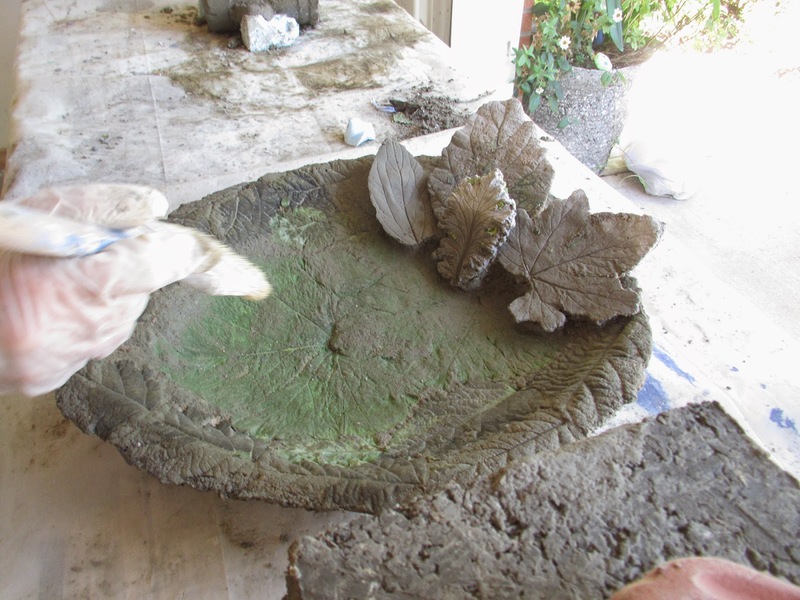 Kate was especially proud of her leaf water basin. She cast Kale leaves with remarkable accuracy and they were exquisite. 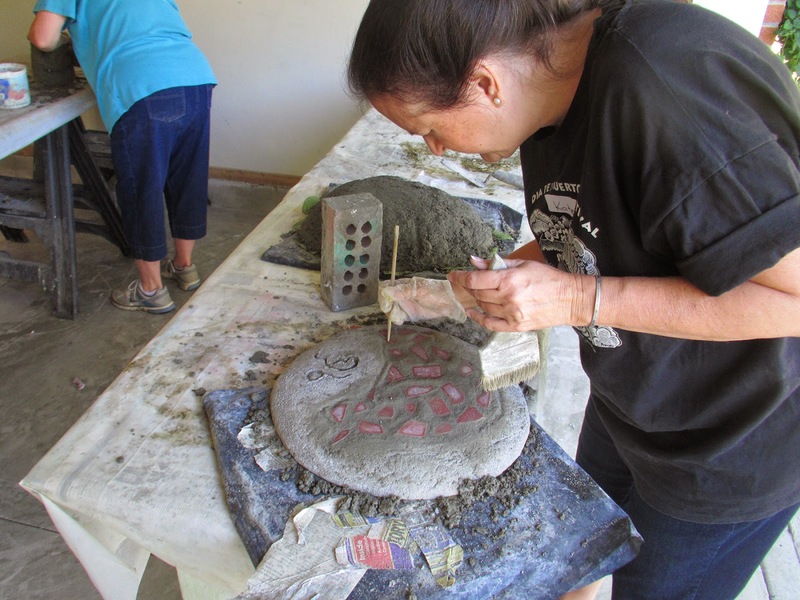 Here she cleans a mosaic bird she created from broken tile in her stepping stone. 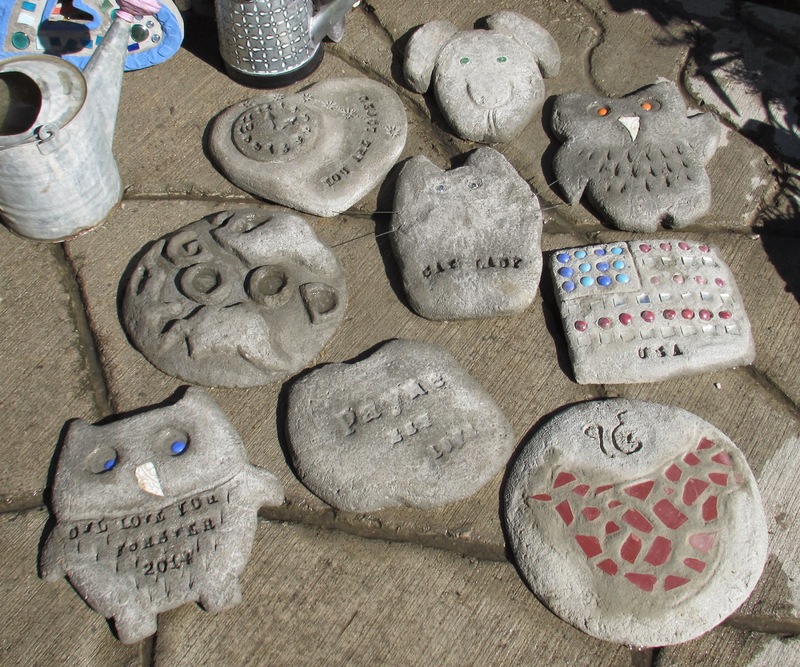 The weekend's gallery of garden stepping stones.